First impressions can be important and Colombia has a reputation that precedes it. My first stop, the place where my plane landed and the starting off point to my South American escapade is the capital, the city of Bogota. Many folks encouraged me to move through quickly so naturally I stayed to see why. The city did not disappoint and was worth the time invested. It’s situated slightly above 8,300 feet up in the Andes and pressed against higher mountains as if the city had been thrown like an egg and left to run down the sides and spread out. It’s a fun place with plenty to offer, where great restaurants, entertainment, history and culture come together. Towards the south end of the city, at the top of a steep hill is Monserrate, a cathedral that sits perched right on the edge of a dramatic drop off. Cable cars carry you over cartoon decorations in a swift and quick lift. From the top, one direction stares at a wall of lush green mountains and to the west the expansiveness of the city can be seen clearly. Concrete blocks of housing drape down the hill to the end of sight. Just beneath Monserrate lies Bogota’s old town, La Candelaria. A historic neighborhood with century old colonial homes painted brightly or covered in ever-changing graffiti along uneven cobble stone streets. 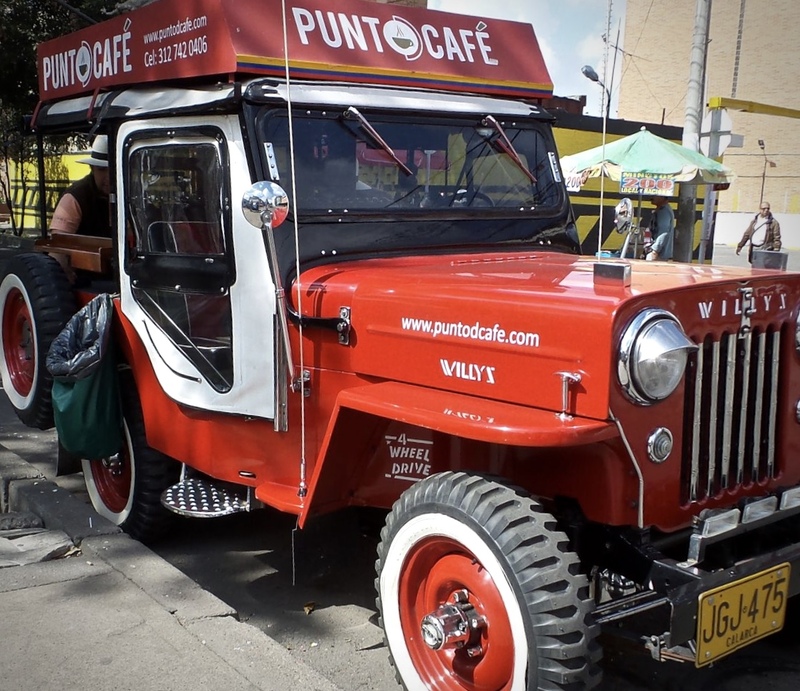 It’s a hub for Bogota’s talented present day artist and performers of which there are many. It’s home to impressive museums, old churches, important government buildings, and universities. A lot happens in this crammed, multifaceted area. Sitting outdoors at a cafe in the center square, coffee in hand being entertained by a storyteller or circus performer is an easy way to spend a day. Every Sunday for several hours the city closes a few of its major streets to motorized traffic and lets cyclists and pedestrians take over. Pop-up bike shops line the roads ready to remedy any mishap in minutes and for pennies. Heaps of families and people of all ages come out to enjoy the space. I found a friend and a bike and took advantage of seeing the northern end of the city from two wheels. No better way to start a day than with a dark, strong cup of perfect Colombian coffee and no better way to end it than with a icy-cold, well crafted brew. Any place that has both is alright by me, luckily both can be found in Bogota. 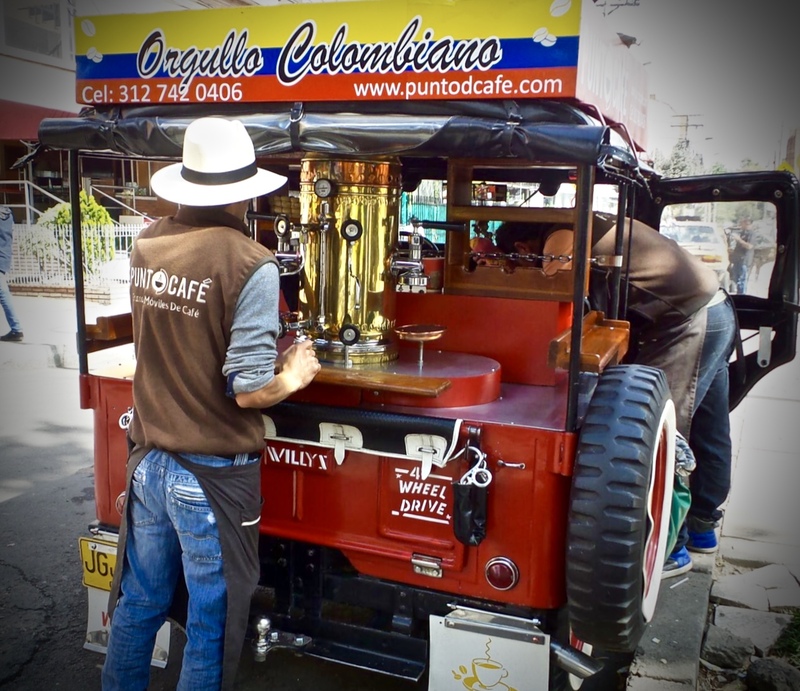 Old timey looking cars converted to serve coffee out the back from pretty shiny urns and hip specialty coffee shops are a growing business. 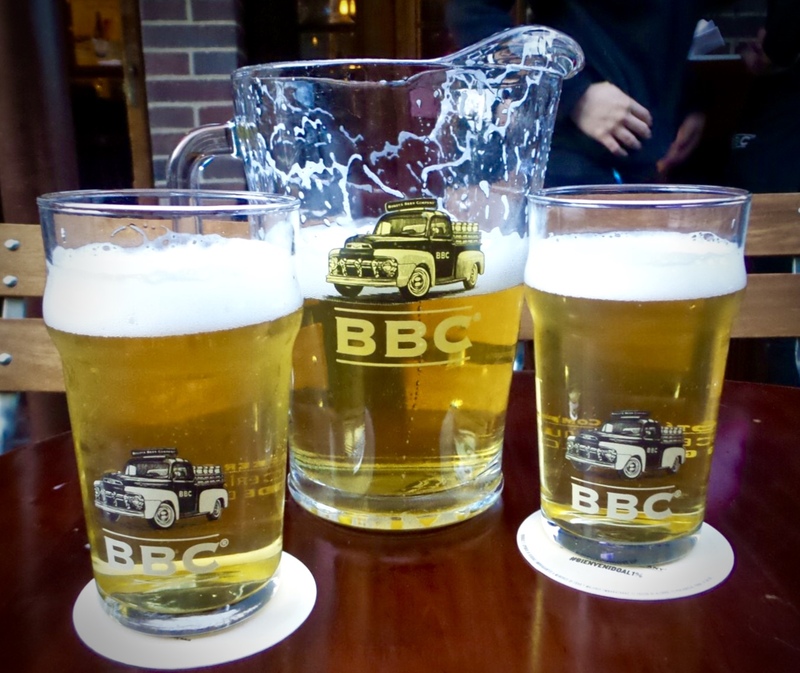 Bogota Beer Company has cornered the market on craft beer and elevated classic Colombian bites to pair. And there is one on nearly every corner, sold! 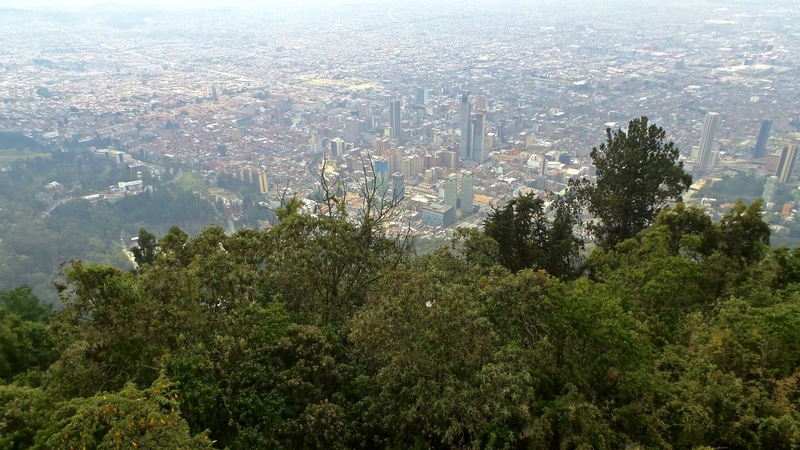 Bogota has made for an excellent gateway to the country and introduction to Colombian culture. Let’s continuar.